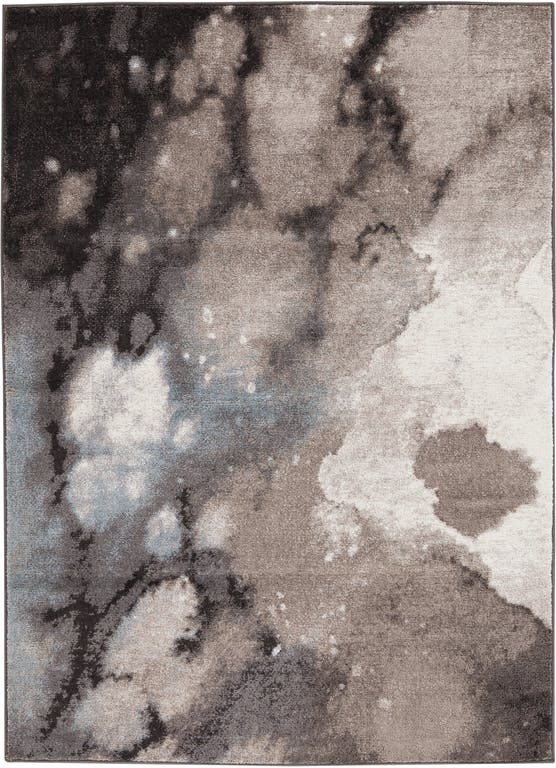 The R403122 area rug features a modern contemporary style with a dreamy grey and taupe color design. Constructed with machine woven polypropylene and backed with jute. Available in five by seven.